Access visualizations of year-over-year financials and historical documents. Search Guidestar to find an organization. 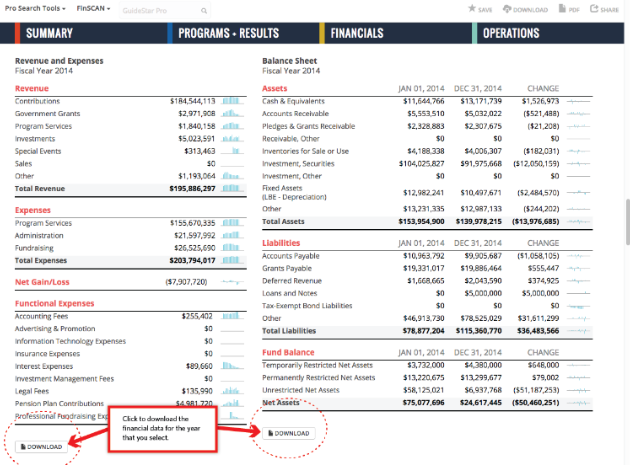 You may also download financial data by clicking the Download buttons located beneath the Revenue and Expenses section and the Balance Sheet section under Financials.